Excellent summer snack or dessert!! 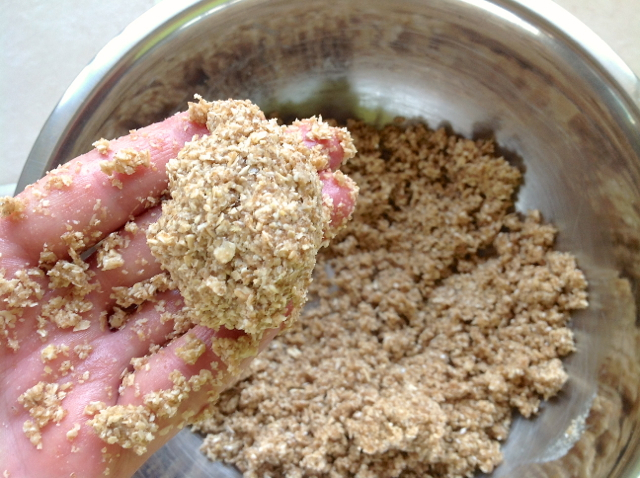 For the pie crust first grind up the oats in a blender or spice grinder and make a flour. 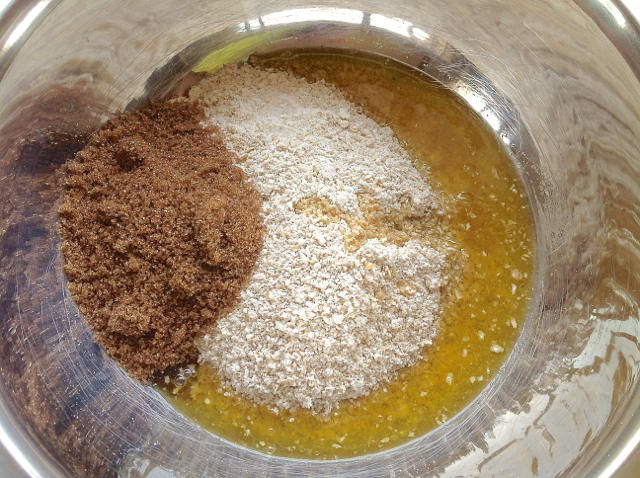 Then add all the pie crust ingredients into a mixing bowl. Mix together until you form a ball in your hand and it sticks together. 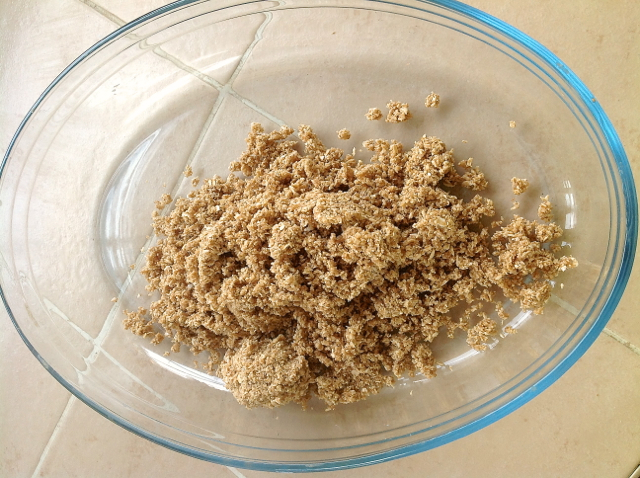 Now pour the crust mixture into your baking dish. 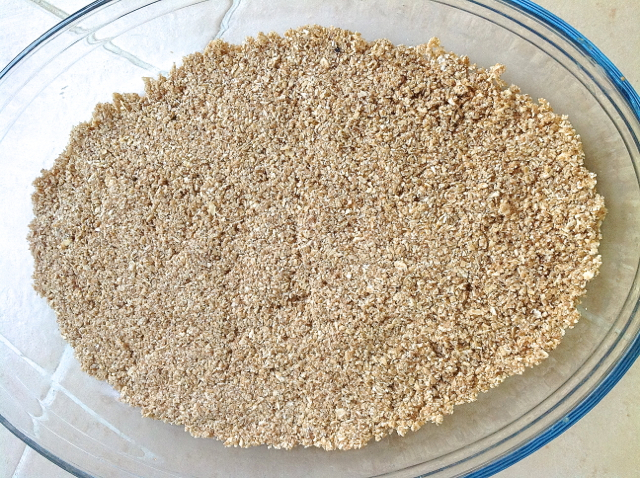 Press the crust mixture into the baking dish and set aside. At this time preheat the oven to 190C/375F. 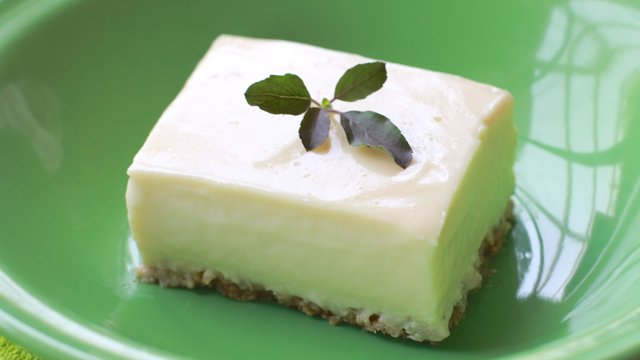 We are going to use 6 cups of firm yogurt cheese for this recipe. 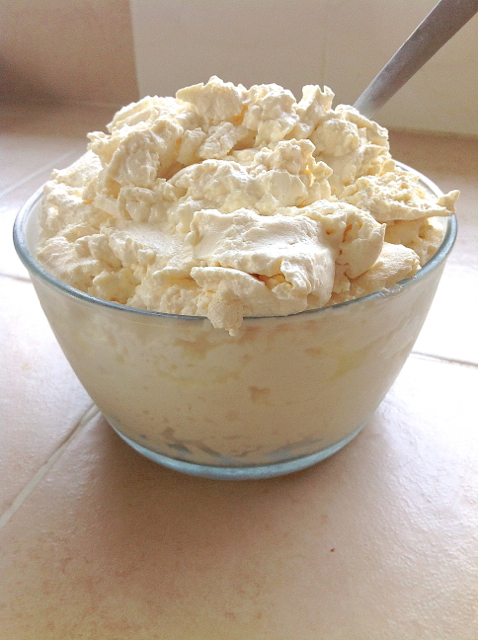 If you do not know how to make yogurt cheese, please see "How to make Yogurt Cheese" in the "Basic Tutorials" tab. 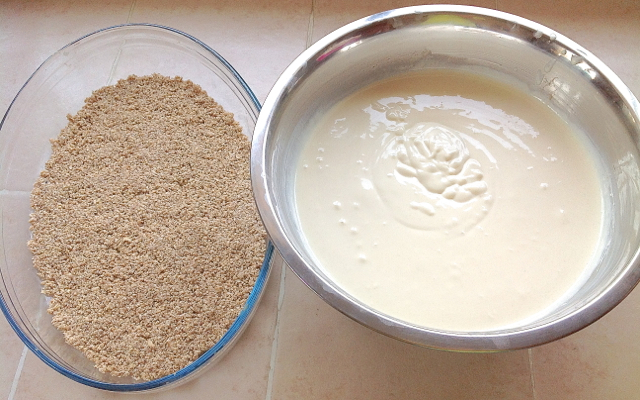 Now time to make the filling. 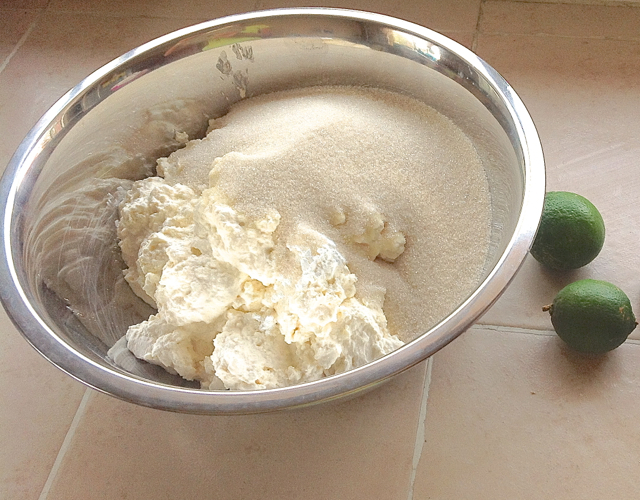 Add all the filling ingredients into a large mixing bowl. 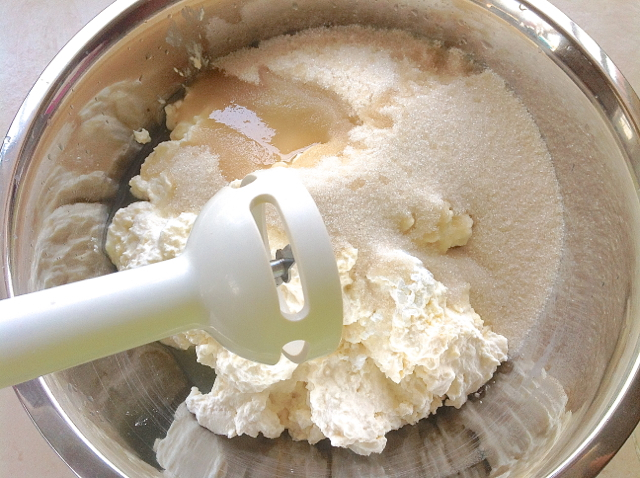 Blend everything with a hand blender until nice and smooth. 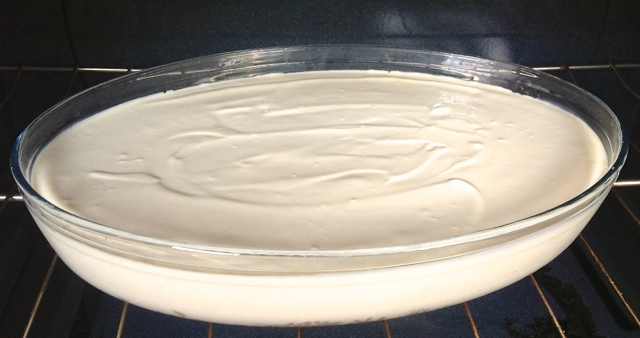 Pour the filling mixture into the baking pan over the pressed crust. Here is what it looks like. 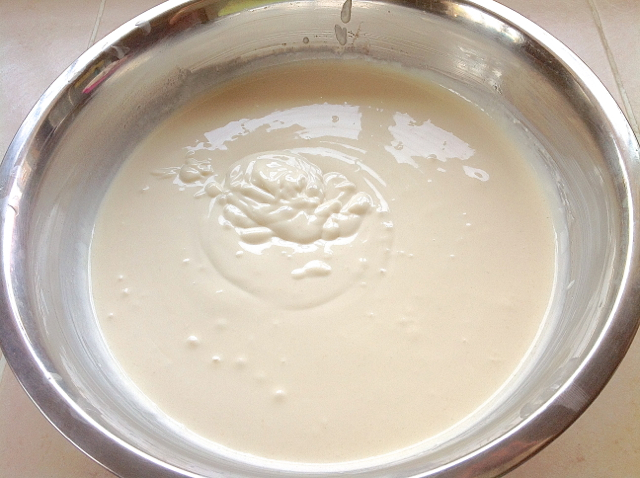 Now you are ready to bake! 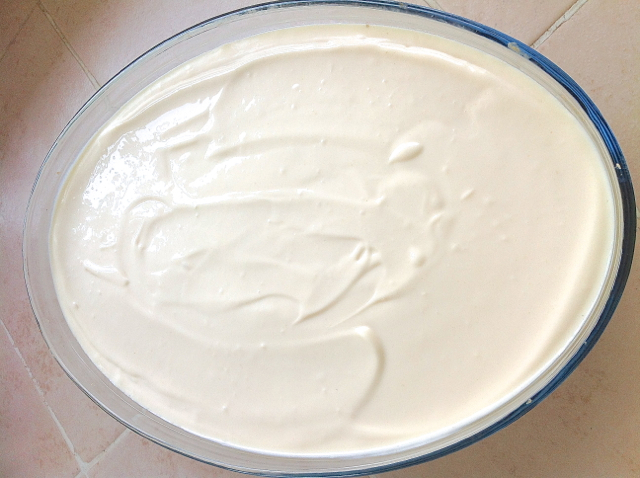 Bake for 35 minutes or until the cheesecake is no longer sticky when touched gently. Here is what it looks like when it comes out of the oven. 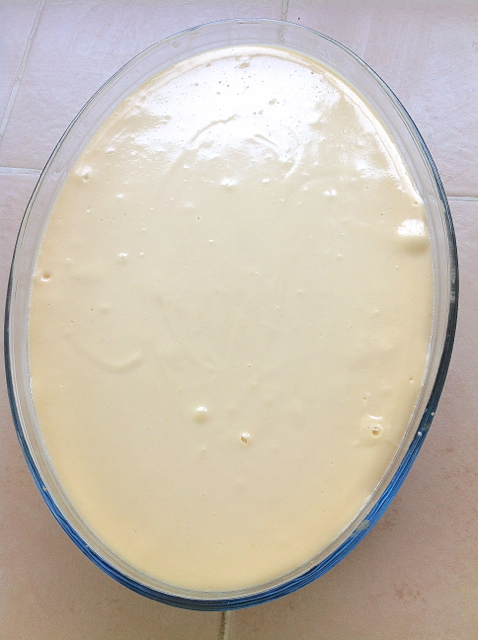 Cool the cake completely, cover and chill in the refrigerator for a minimum of 5 hours. Then you are ready to offer to Kṛṣṇa!